Paul Mitchell Smoothing Super Skinny Serum Smoothes, conditions and seals strands, leaving hair silky, shiny and frizz-free in any weather. 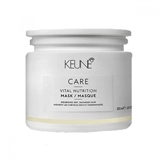 Lightweight silicones smooth, condition and seal hair with added shine. Speeds up drying so you get silky-smooth results in less time.